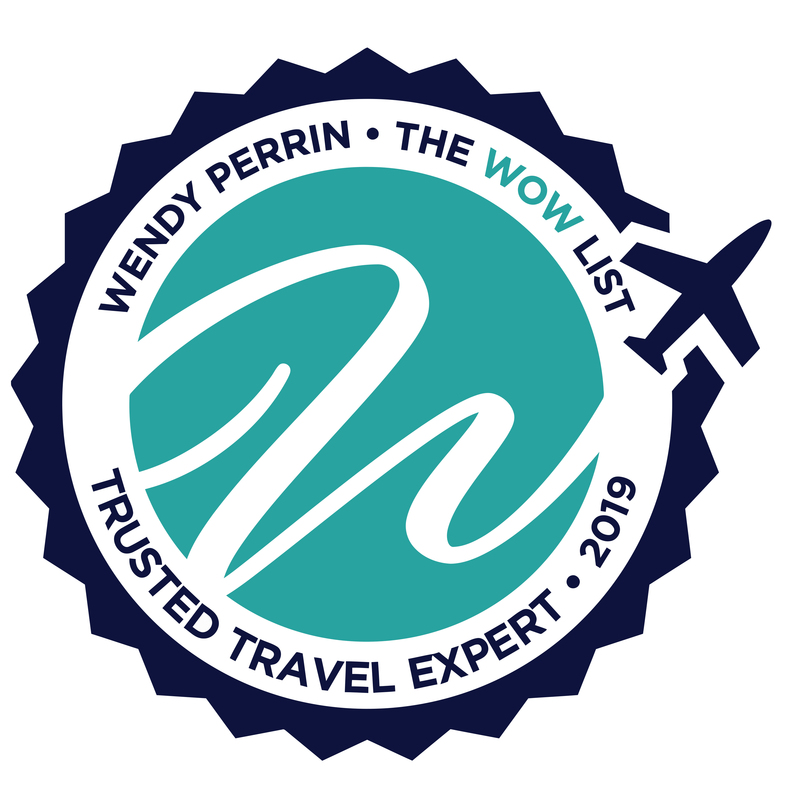 Paul Bennett is on Wendy’s WOW List of Trusted Travel Experts for his expertise and connections as regards Cultural City Tours. Don’t miss Paul’s Insider’s Guides to New York City, Washington, D.C., Rome and Amsterdam. Our two tours with Monica were nothing less than perfect. We were introduced to her on the Tastes of New York tour and her infectious enthusiasm was soon shared by everyone in our group—including my two grandsons (ages 12 and 9). We were lucky enough to have her the following day on the five hour Freedom tour. We followed her lead and always procured the best spots on the ferry, the most perfect viewing areas of the New York skyline, the little-known viewing areas that allow you to truly understand how Lady Liberty is assembled, and a view of the Ellis Island experience that is all encompassing and truly unique. She topped it off with yet another food experience at the historic Fraunces Tavern—an eating establishment that dates back to the American Revolutionary era. We hated to say goodbye to our now good friend. Luckily, Monica, who is also a fabulous photographer, documented the day and those photos are now a treasured memory of a perfect day in New York. We used Context to book an art/auction houses tour in London. The tour was excellent and the guide was savvy and friendly. We have used Context in the past and based on this latest experience will definitely use them again. We spent ten days in Singapore and decided to use Paul Bennett’s team for three different walking tours during our stay, which was focused on the WTA tennis tournament. We booked a tour of Kampong Glam with a visit to mosques (3 hrs), Little India, with a visit to temples (2 hrs) – both covered in one day – morning and evening; and Temples Amid Skyscrapers (3 hrs) on a different day, which covered Chinatown and its magnificent temples nestled among the soaring contemporary architecture. It was very easy to select the particular tours and specific hours from the Context website and book online, and the travel specialist was very responsive in trying to accommodate changes afterwards based on our intense schedule. The guides arrived before the set time, which was great. It’s always a good sign when one does not have to wait around for the guides but they arrive at the same time with your or they are already waiting. While we enjoyed Kampong Glam and Little India, we found the tours to be somewhat thin with respect to the details and areas covered. Kampong Glam included a short stop at a cemetery, walking by one mosque and spending some time in another; and a visit to the Malay Heritage Centre with historical information by the guide about the history of Singapore and its people. Little India included a brief stop at two local markets, to fairly short stops at two temples and a stop for an Indian snack. With time left over in both tours before they were supposed to end and the relatively high cost of these private hours, we felt that they were not good value for money. and we were almost ready to cancel the Chinatown tour two days later. We are so glad that we didn’t because that hour fully met our expectations. The guide was highly engaging, informative, and passionate about Asia – a passion which she imparted with ease while providing a multi-layered, rich tour covering enough temples to leave us feeling satisfied that we have seen a good variety of them, fascinating historical details and of contemporary life, as wells as some personal anecdotes of daily life on an expat in Singapore. The tour ended with a look at a giant model of Singapore, which fascinated my husband, showing current and future developments, which our guide Pavla elaborated on. We left the tour inspired to explore more of Asia because of the genuine enthusiasm of this guide, which is beyond what we expected, Asia having been a low priority for our travels in the past. Paul Bennett’s team was very good in seeking and listening to our feedback. We don’t regret booking the tours because we would probably not have gone out on our own, and we would not have learned and seen as much as we did in a short period of time, which was our goal. They did enrich our travel experience even if the cost was fairly steep and the first day of touring did not fully measure up to our expectations. The tour of Chinatown more than made up for it. I can’t say enough great things about Paul’s team. They were very knowledgeable about the cities that we were visiting—Budapest and Amsterdam—and steered us towards tours that they thought we would enjoy. The guides were extremely knowledgeable about the city and the subject matter. I would highly recommend them to anyone traveling to these two cities. It was so seamless and easy. I trusted them, and they didn’t disappoint. Paul Bennett and his team offered a great menu of walking tours for us in Japan. They were affordable, unique and the guides were amazing. This is not a full-service travel experience. This is an amazing a la carte tour experience. 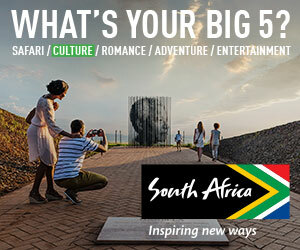 You select some fantastic tours and are wowed for those 2-3 hours. The customer service was also great. His team helped us book the right tours. Then – when I messed up the date on something – they scrabbled at the last second to book us a private tour. It was beyond what I expected. Excellent!! We will never do another tour again if Paul Bennett’s team is available. Great experience and invaluable guides in both London and Amsterdam with a very nice variety of tours for all interests. An experience not to be missed!! Popi on Paul Bennett’s team is amazing. She arranged the tour perfectly with just the right pace and right amount of info. I highly recommend her. No wonder they call them docents, not guides!! Amazing experience with Paul’s team both in Amsterdam and London used the flytographer option with a full day trip and turned out excellent. Will use Paul’s team again wherever they are available. I thought the planning help from Paul Bennett’s team was great and all of the tours seemed, in theory, to have the promise of appealing to my 8-year-old so – which was the mandate. The Amsterdam canal boat tour was lovely and relaxing – on a private old boat, with a gregarious captain who was himself very engaging with my son. The Rijksmuseum tour was quite good and the guide truly nailed the kid thing (keeping it moving, not too much superfluous detail, etc.) although all of the guides made good efforts. We both learned some fascinating details about art in general by seeing the important paintings there. The Paris by Riverboat tour was somewhat disappointing (not because of the guide). The walk beforehand was interesting for me and only somewhat interesting for my son – he was more interested in the 2,000-year-old buildings and gargoyles than where Picasso’s studio was located, for example – and the walking was a lot for him (I had not realized what a large portion of this tour was a walk). The riverboat portion was something I would not have done had I truly thought it through. It was on a crowded, hot BatoBus that didn’t lend itself very well to any detail of what was passing by. The only value in this tour was the tour guide – having a private boat in Amsterdam was certainly double the value (for just 100 more euros). I would have paid far more for a boat in Paris like the one we had in Amsterdam had it been made obvious as an option. Finally, our Louvre tour was given by a really funny, entertaining tour guide and I thought the edit of the collection was really done very well. Overall these tours were very good experiences for both of us – I am pleased to have gained wisdom to use in planning our future father-son trips. Thank you. The group tour was excellent because the number of people in the group was very small (3) on one and (5) on another. Each of the guides was good natured and extremely well versed in their field They had time for questions and answers and were extremely knowledgeable. Would do it again in a heartbeat. Paul and his team in Berlin did a fabulous job on our half day walking tour. The booking was easy and they graciously worked with our schedule when we had unforeseen travel issues. Our guide, Sven, was informative and engaging. His ability to provide historical and current day context provided an enhanced experience and introduction to Berlin. We went on 2 tours in Barcelona. Both guides were equally fantastic!! Knowledgeable, engaging, giving plenty of fun fact and very personable. Their enthusiasm was very obvious and would use Paul and his team on our next trip. I contacted Paul and his team for guided tours in both Venice and Amsterdam. I had never heard of them although I have taken many tours while on vacation but never through Context. As it turns out, many of my acquaintances have used them and only have good things to say about their service. With a friend I was traveling with, we took 3 group tours in Venice–all good, not great, but our tour in Amsterdam was as good as it gets. Leaders were reliable sources of information, and full of information; groups were very small. I liked the limited nature of the topics, e.g., they cover what they say they are going to cover in great depth. My only complaint was that the meeting places can be difficult to find but in all cases, we managed. Now that I have used Paul and his team, I will always check first with them to see if they have a tour(s) of my destination. And I would not hesitate to schedule a private tour if I were traveling with my husband who may prefer less adventure looking for the “meeting spot.” Scheduling tours with them were easy; the staff walked me through it over the phone. Livia Galante on Paul Bennett’s team did our tour of the Vatican. We truly skipped the lines and she took us to parts of the museum that are not standard tour stops. She was knowledgeable, efficient and so nice! If you are visiting the Vatican, it is the only way to go. Loved our two small guided tours of Galleria Borghese and Vatican After Dark. The day of the tours they emailed us a reminder along with directions for the meeting location, the guides name and the best part a picture of the guide so we would know who we were looking for. The Vatican After Dark tour was great, it was busy but not overly crowded. Both tour guides were excellent, very knowledgeable and able to answer all questions. We enjoyed 3 hours with our guide Sally, walking Chicago. As a Chicago native, she offered us many interesting historical backstories to the vibrant city around us. She would be a huge resource for those who wish to see the Thorne miniature rooms (within the art institute) and has incredible knowledge including a published book about that exhibit. Paul Bennett and his team organized a bespoke 3-hour walking tour for my private group in Boston. Our guide, Christian is a high school history teacher and incredibly knowledgeable about Boston history and architecture. We would definitely use Paul and his team again for another city walking tour. Paul Bennett, his team, and our guide, Peter Currie, were absolutely wonderful. I will admit – I contacted Paul last minute, asking for a very specific time frame and tour, and my contact there – Grace – was more than accommodating. She was always extremely responsive to any email I sent and set up everything very easily. On the guide side, Peter Currie was absolutely fantastic! Our morning with Peter was our favorite part of the trip. Not only was Peter extremely knowledgeable about the topic at hand (WWII and the Churchill War Rooms), but was knowledgeable about any facet of history we chose to ask about. We were so impressed to learn that our guide had graduated from London School of Economics – talk about being qualified! And what really topped it off, was how personable Peter was. Beyond the history, it was simply lovely talking to him. So outgoing, so kind. I would definitely recommend Paul and his team, to anyone. My family and I just completed our trip to Amsterdam on December 24th. We ended up using Paul’s services for the “Jews in Amsterdam” tour. Our guide, Alette, was waiting for us at the designated meeting point. Even though the weather was not idea, with a cold rain to start the tour, she was able to transport us back to the 1600’s up to the 1940’s with interesting sites and tales of life in Amsterdam. Because of the weather she tailored our tour to spend more time indoors. Her background as a history professor was an added bonus. She was able to tell us about friends who had personal stories about life in Amsterdam during the war years. She was also able to answer all the questions my family and I had. To end our tour she was able to recommend for us an excellent cafe for lunch. Thanks, Paul and the Context Travel team, for a memorable tour. We were met at our ship in Civitavecchia and swiftly transported to downtown Rome where we met our Context guide, Celia Martini. Even though we arrived at the Coliseum early, Celia was already there waiting to meet us. Standing on the embankment above the Coliseum, Celia casually asked a few questions which elicited our level of understanding of the history of Rome. From that point forward, throughout our entire day together, Celia perfectly calibrated her commentary to ensure we were able to understand/appreciate all that we were looking at. If my teachers had been half as good as Celia, I would never have left school. We are in our 70s and Celia frequently found places where we could stop, to rest for a few minutes as she further explained the historical background of the buildings/monuments and artifacts that we were seeing. During these respites, she would invariably reach into her shoulder bag to pull out illustrations of the buildings which she used to better explain herself. At noon she had anticipated our dietary needs and chose a perfect lunch spot near The Spanish steps. As mentioned above, the day’s narrative and explanations were perfectly targeted at our level of knowledge … I have every confidence that Celia could have changed her commentary to accommodate those who knew both more and less than we did at the outset of our wonderful day together. Without any exaggeration, this was the best introduction to any city that we have ever experienced; simply outstanding. We booked a personal guided walking tour with Paul Bennett team in Philadelphia. The guide was knowledgeable and engaging. It made for the perfect start of a long weekend to see the Old City and learn some interesting history. We’d recommend doing this wherever available with Paul’s team. It was a challenge due to the ages of the many people involved, but he organized two or three tours for our group in Amsterdam. We were exceedingly delighted with the tours and our tour guide. A broad range of tours in each city of Italy we traveled to (Rome, Florence, and Venice). Superb assistance when we missed our train from Florence to Venice. Got our water taxi rescheduled immediately. Prompt response to all questions. Ease of booking and payment. Tour went off without a hitch. Tour guide was knowledgeable, friendly, moved us through busy areas quickly. Answered questions knowledgeably. We had planned a tour in Florence for one of the days we were there. Paul’s guide was prompt, interesting, very informative. She had great fun facts and took us to sites we would never have gone to or known about. Our tour was 3 hours but went by so quickly I was disappointed it was over. I will use Paul and his staff again. Paul’s team did a great job helping us with our Washington, D.C. trip. I was completely befuddled by the plethora of options – despite just booking one tour with them their office helped give me very solid advice in plotting my itinerary. As it turns out we were able to get special access to the Supreme Court that day. They were also nice enough to switch our tour to the British Museum for an upcoming London trip. That guide did a fantastic job – he made our high school daughter look shockingly knowledgable when she was able to answer questions about ancient Mesopotamia a few months later. My family and I went on a 5 to 6-hour private, walking guided tour in New York City: Young, Scrappy and Hungry: Hamilton and Revolutionary New York on April 15, 2017. Our tour guide, or docent, was Ricky who picked us up at our hotel around 10:30 a.m. Ricky is a Ph.D. candidate in colonial history. He came very prepared for our tour with typed notes and even brought an American colonial military uniform used for reenactment, which our 14-year old girls found fascinating. We hit all of the historical colonial areas that Ricky had mapped out as well as stopped by iconic New York City landmarks as we passed them, like the Chrysler building. Ricky had a wealth of historical information about the areas that we visited, like Grand Central Station, City Hall, St. Pauls Church, and Trinity Church, where Hamilton’s grave is located. At my request, he worked in one stop at Takahachi Bakery, a Japanese bakery on Murray St. in downtown Manhattan, and at Neuhaus chocolate shop in the beautiful, modern Fulton St. station. As we were walking around downtown, we happened upon La Maison du Chocolat on Wall St., a great place for a water and coffee break and picking up some delectable chocolates and macarons. Although the restaurant where we had planned to end the tour for a late lunch was closed, we found Sauce and Barrel on Washington St. Their fried calamari was delicious and fresh, and their thin crust pizza, lightly crispy and slightly chewy, a perfect ending to a long tour. I do not know of everyone else in the group, but I was exhausted and ready to go back to the hotel. I think a 5-to-6-hour walking tour was a bit too long. However, we were very impressed with Ricky and the historical tour. Our family of four (2 adults, 2 boys ages 9 and 12) spent a fantastic morning with Hector Santiago on a Madrid for Kids tour in December 2016. In fact, we would have gladly spent an entire day with Hector. He was intelligent, personable, patient and willing to modify the itinerary when our family’s interest strayed a little outside what is typically covered. Highly recommended! The walking tour of lower Manhattan was great. Our guide Ben was very knowledgable on the history of the area. The one suggestion perhaps would be for the guide or company to have an association with a few of the indoor sites so that the guide could easily get in or know that they would be closed. There was an exhibit at the battery that was closed even though the sign posted said it would be open. There was also the upstairs of Fraunces Tavern was not open yet for business but employees were inside. Here my suggestion would be to re route the tour to hit this spot when open or make arrangements in advance to get in with the management. These suggestions would only enhance an already great tour. We hope to do another tour in the future to learn more about the big city in our own ” backyard”! We had a great afternoon with Isabelle our guide at the Louvre. She was great with our kids and really was able to keep their attention for the whole tour. As proof and what’s even better is that they remember what they saw and have linked it to other experiences and places during our trip to France. Paul Bennett and his team were very communicative and responsive. This was a great choice for us as we eliminated a lot of the guesswork. Thank you Wendy for the suggestion. I definitely would recommend this service, make the investment it will make your trip to the Louvre more satisfying. We even booked another tour with Paul and his staff while we were in Paris. William our Normandy docent from Context travel was excellent with his knowledge, delivery, and itinerary. Would recommend him highly although he’s booked for the rest of this year. We were delighted with our [too brief] time in Rome. Paul Bennett and his team provided us with an absolutely wonderful doyen, Cecilia Martini who made the best use of the time we were together. We are older and Cecilia was sensitive to our physical limitations while ensuring that we saw what we wanted to experience. A teacher by training, she was remarkably adept at discerning our base understanding of what we were seeing and then building on that foundation to enrich the experience. The experience couldn’t have been better. We signed up for a walking tour of the Colosseum and Roman Forum. The guide was extremely knowledgeable and an interesting instructor and we learned a lot. Even though we expected the two of us to be in a group of six, it turned out to be just us two for the same price, which we appreciated. They offered a pretty wide range of tours in Rome and we definitely recommend them. On our way to Sicily, we did a stopover in Rome to return to the Vatican museum and see several sites we had never visited. We booked several tours with Paul’s team. Two were outstanding, in large part, because the guide was outstanding. We have nothing but praise for the personable, knowledgeable, and enthusiastic Dony. The Appian Way tour proved more interesting than we thought it would be. After all, the Appian way is just a road. But it’s a real road of great significance, parts of which are in wonderful condition. Dony helped us imagine what it would have been like during the peak of its use. Even more enchanting was the tour of the Baths of Caracalla. We’d read about them, but were amazed by the scope of the complex, its ingenious heating systems and salons, and the preserved mosaics. The absolute BEST tour was the first-of-its-kind, customized Tosca tour in Rome. We had told Context Travel that we love opera, but nothing was playing during our few days in Rome. They asked Dony to design a tour in which we would visit the actual sites depicted in each act of the opera, Tosca. Dony had done his homework, brought along an iPad filled with music, and began telling the story as we visited the glorious Church of Sant’ Andrea of Act I. Here is where Angelotti hid, where Tosca and Cavaradossi sing their love duets, and where the Te Deum is sung. We then went to the front of the Palazzo Farnese (Act II) where the diabolical Scarpia met his end at Tosca’s hands. Finally, we walked through a maze of fascinating streets to the Act III prison at the Castel Sant’ Angelo where Tosca’s lover Cavaradossi awaited execution. Dony played the final arias as we walked the steps and hallways that led to the top of the castle. The statute of the archangel Michael loomed above us—as itdoes in the final act of the opera. And we could look across Rome as Tosca did when she jumped off the parapet to her doom. Bravo Puccini. Bravo Dony! If you love opera, you’ll love this tour. And you’ll love Dony too. Bravo again.